It’s time to start that landscaping project you’ve been dreaming about. Whether it’s creating a spectacular patio, a colorful perennial garden, a backyard privacy screening or completely changing the look of your landscape, our gifted designers are ready to help! 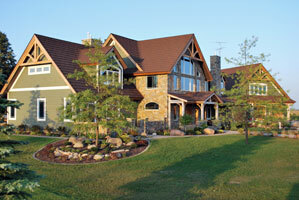 We have the creativity, the expertise and the resources to handle any of your landscape projects – big or small. Our talented team of landscape designers, consultants and installation crews are experienced, this diversity gives us unmatched capabilities in our industry, which we can put to work for you. Every Jim Whiting Nursery-designed garden is unique and reflects the personal style and the artistic nature of our clients. Our award-winning designers can help you create the look you’ve always wanted. If you can imagine it, we can build it. Get inspiration for your own landscape by viewing our inspiration gallery. Learn more about our capabilities and let us answer all of your questions. Need ideas? Have ideas? Meet our designer and find the perfect match for your project.